Accused 27.12.1872 of suffering gaming. Convicted 30.12.1872 of suffering gaming. Fine £5 plus £1/7/- costs. The ROSE INN to 25.07.1881. James Woolstone applied for a music, singing and dancing licence 22nd August 1891. There was a detached large club-room and during the winter months, dancing classes were held there weekly. It was only for this purpose and the occasion of the anniversary of the Foresters Club, that the application was made. the Chief Constable said the room was suitable and there were no complaints against the house. August 1986 - No handpumps. 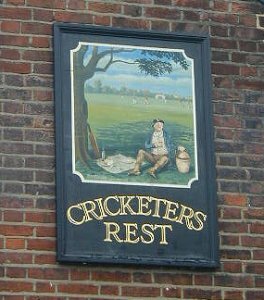 Norwich Bitter, Webster's Yorkshire Bitter and Carlsberg Lager on tap. 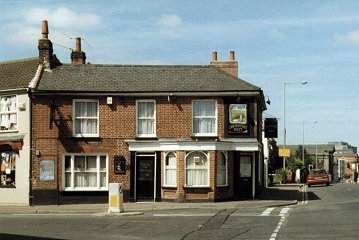 Refurbished late 1986 and handpumps installed by 1987. Nice late 19th C pub front retaining three original entrances to bars. 19th century bell push in public bar. Very plain decor, low ceiling, small formica topped corner bar counter, 1930's tiled fireplace, dado rail above matchboarding and plain painted walls above. 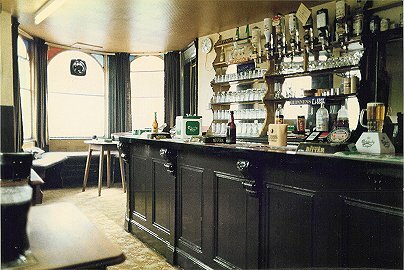 19th century bar counter in lounge bar with carved brackets and later formica top. Wooden matchboarding and dado rail. Leatherette benches and fitted bench seats in window embrosure.